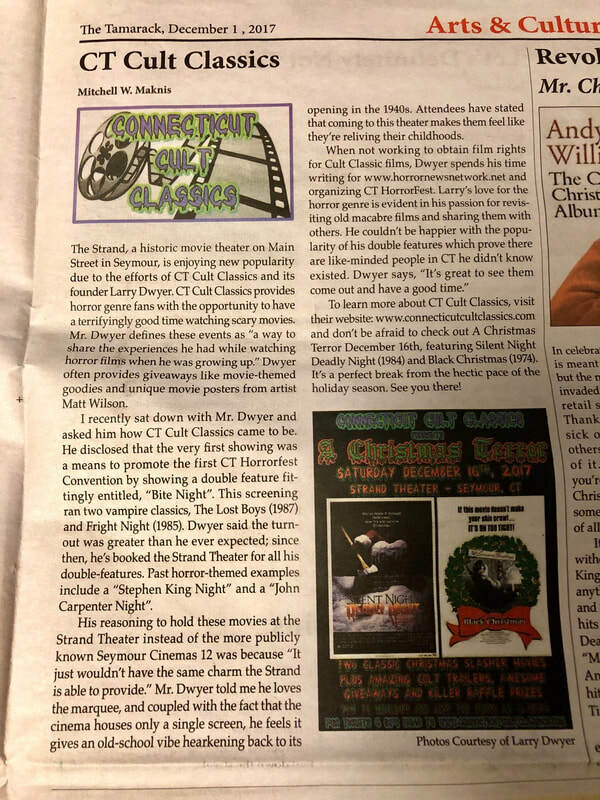 Interviews, Podcasts, write-ups, Radio shows & more! 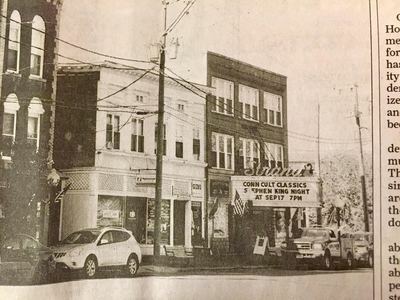 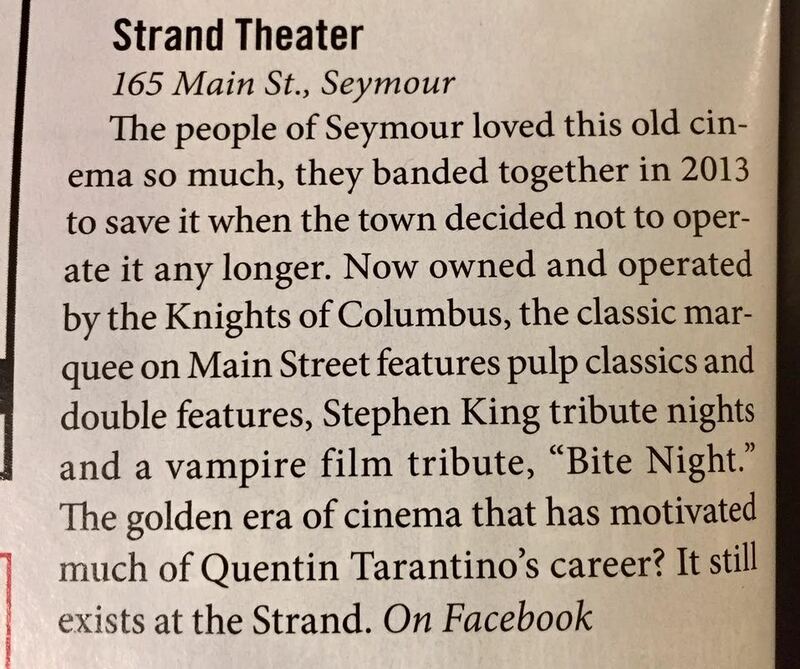 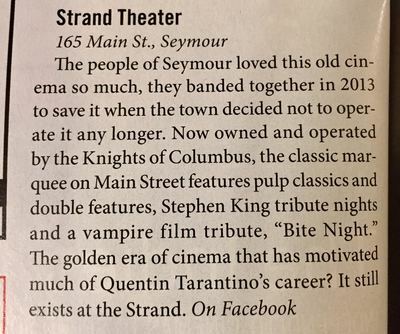 BELOW: Connecticut Magazine's October 2016 edition mentioning our "Bite Night" and "Stephen King Night" at the Strand. 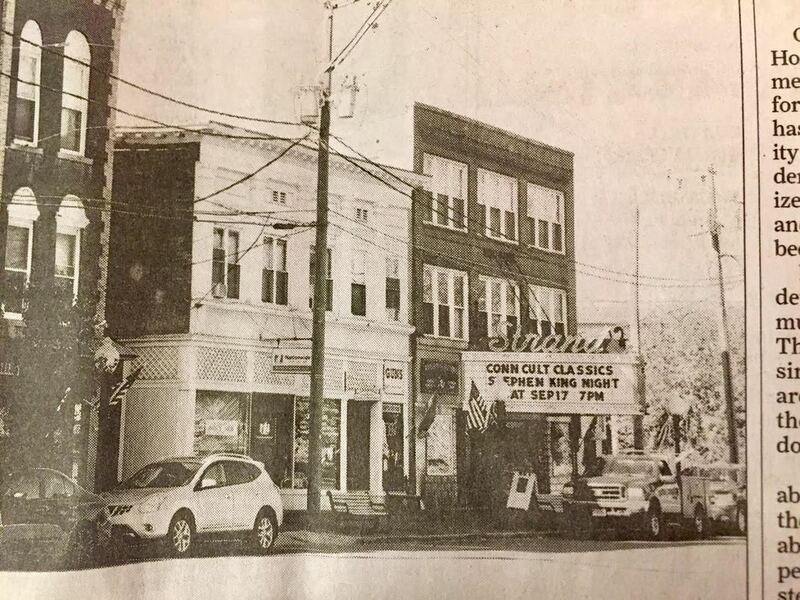 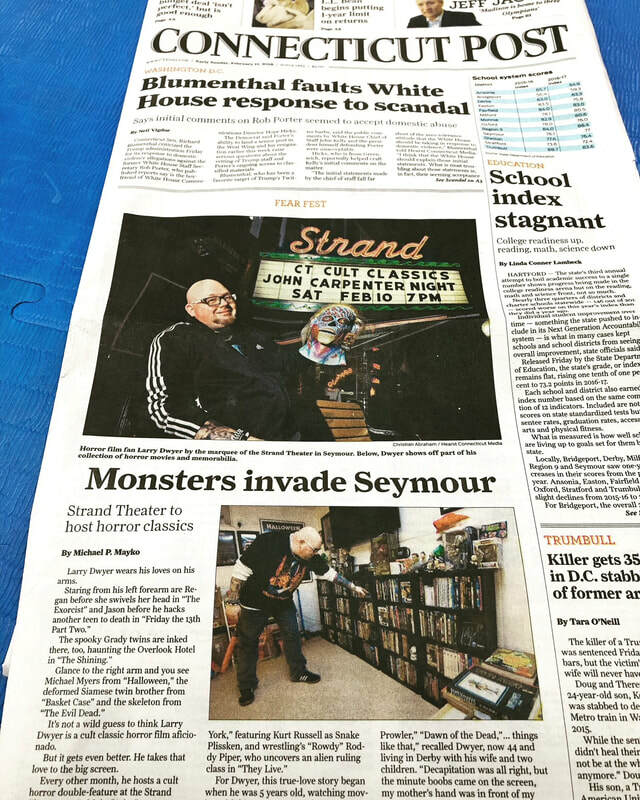 BELOW: From the September 29, 2016 edition of the CT Post, a shot of the Strand's marquee advertising our "Stephen King Night".